Personality testing can be a daunting endeavor for potential employees. It doesn’t take long for the fear of what the tests might reveal about your personality sets in. However, these assessments can prove to be incredibly useful for employers and it’s worth preparing in advance. Fortunately there are several preparation methods for these tests, which will certainly help to ease any stress the applicant might be experiencing, as well as improving their score. A variety of reliable personality tests that aim to measure a candidate’s opinions, behavioral patterns, and motivators exist. They also serve to determine whether an applicant is able to do the job, is willing to do the job, and will fit into the current workplace. 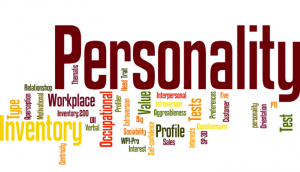 Statistics show that over 80% of the Fortune 500 companies in the United States (a list of the largest 500 American corporations) use personality tests within their psychometric testing procedures. As such, adequate preparation for these assessments can be highly beneficial for candidates. Personality tests differ from aptitude tests in that they are not timed and, since the tests measure behavioral styles in relation to workplace situations, there are no right or wrong answers. Assessing these kinds of personal attributes can help to determine how an employee might react in risky or uncertain situations. In the same way that a person with risk-taking tendencies may bet on a poor hand in Black Jack or poker, they may gamble with potential clients. For employers, the importance of personality testing in the workplace is paramount and may well contribute to a positive workplace environment. All companies should strive to place their employees in suitable positions to increase motivation and ambition within the workplace. One of the most common personality tests is the Myers-Briggs Type Indicator (MBTI) personality test which measures personal preferences relating to how people engage with others in the world and make decisions. The MBTI test is a fantastic tool, not just for employment-seeking reasons, but also for personal reasons to further your understanding of your own motivations and aspirations.